Denny Park Fine Arts is a Seattle based company providing professional services to artists, collectors, museums and corporations around the world. Our fully insured staff of arts professionals offers a complete arts services program. We provide professional handling, conservation review, curatorial reports, appraisals and secure storage for all types of artwork. 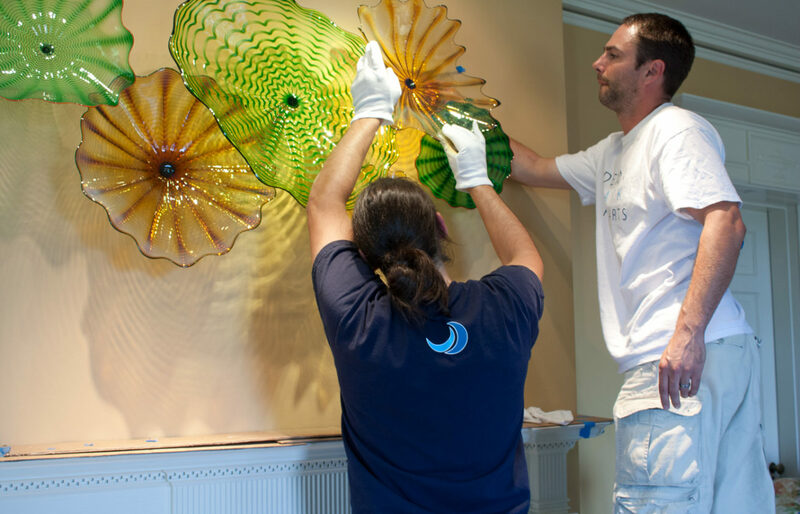 In addition, DPFA is the only company authorized by the Chihuly Studio to provide cleaning, deinstallation, packing, moving and storage of Chihuly artwork. The Studio has trained DPFA's team and reviewed their capabilities. Our services provide the maintenance and cleaning that will assure the continued value and visual brilliance of the artwork.